This effective self-study system features learning objectives at the beginning of each chapter, in-depth explanations of each topic, and accurate practice questions. Each chapter includes Exam Tips that highlight key exam information, hands-on exercises, a chapter summary that serves as a quick review, and end-of-chapter questions that simulate those on the actual exam. 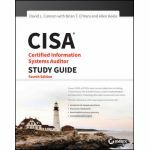 Designed to help you pass the CISA exam with ease, this trusted guide also serves as an ideal on-the-job reference. • Written by an experienced certification author with 30+ years of IT experience. Peter H. Gregory (Seattle, WA), CISSP, CISA, CRISC, C|CISO, CCSK, PCI-QSA, is a career security and IT technologist, with many years' experience in IT operations, software engineering, network engineering, security engineering, security operations, and security management. 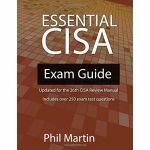 He has been deeply involved in the development of IT controls and internal IT audits since 2002 and is the author of over forty books on information security topics.